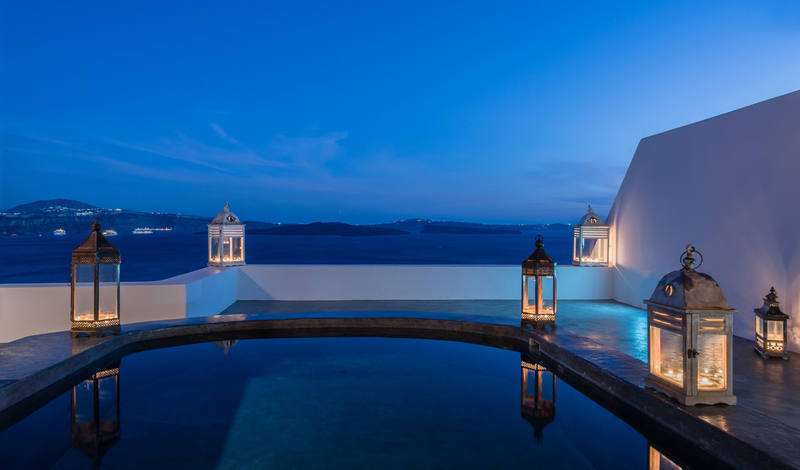 Nestled in Santorini’s north-western coastline, Andronis Luxury Suites promise a relaxing vacation in an idyllic setting. The traditional white-washed, Aegean architecture of the 22 suites creates a peaceful atmosphere for those looking to take a romantic break and unwind in luxury. Located near the beach in the historic town of Oia, a mere 3030-minute drive from the airport, take in the views of blue domed churches as you amble along cobbled streets. At the pinnacle of the town is the ruined castle which serves as a lookout point and offers a complete360-degreee view; the perfect location to see Santorini’s famous sunsets. A short distance away, you’ll also find the best known Minoan site outside Crete where major structures and wall paintings have been preserved in the 5,000-year-old town of Akrotiri. To complete your Greek Odyssey take a trip to one of the other nearby Cycladic islands of Mykonos, Andros or Naxos and explore. 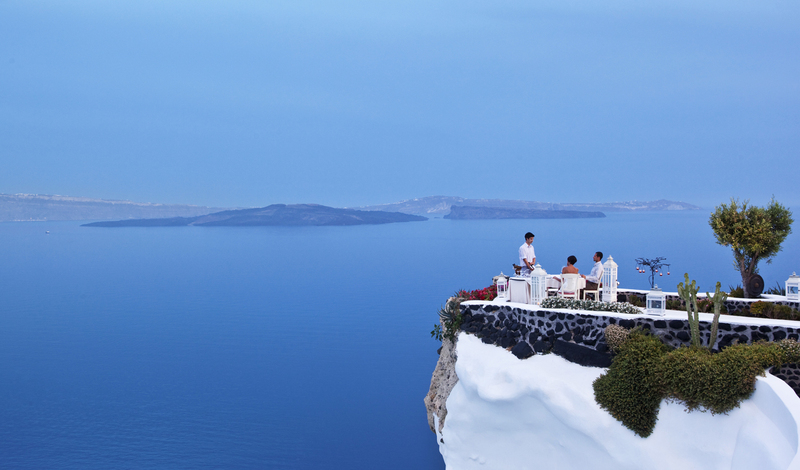 Each of the hotel’s 22 suites offer fantastic views overlooking the island’s crater or caldera. The minimalist design is primarily white with splashes of red and blue, creating a serene environment where you can relax in the king-sized bed, try out your private Jacuzzi or chill by the pool. The most opulent suites offer a private infinity pool or a pool in your very own cave. And to satisfy your every whim a personal butler service is available to allow you to completely switch off.